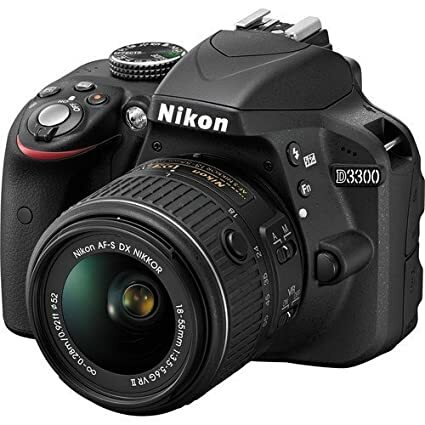 The price for Nikon D3300 DSLR Camera (Body with AF-P DX NIKKOR 18 - 55 mm F3.5 - 5.6 VR Kit Lens) ( Black ) is valid across Bangalore, Hyderabad, Chennai, Mumbai, Delhi, Pune and Kolkata. 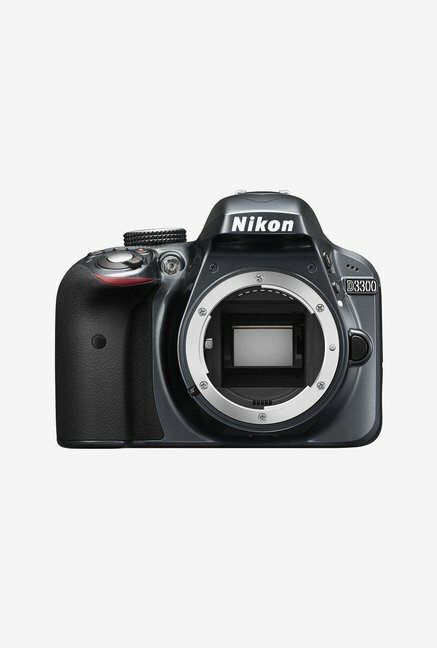 The Nikon D3300 DSLR Camera (Body with AF-P DX NIKKOR 18 - 55 mm F3.5 - 5.6 VR Kit Lens) ( Black ) is available at best price of INR 23961 on TatacliQ. First of all what i got in the box..? In the box, i got Nikon D3300 camera+AF-P 18-55mm VR + AF-P DX NIKKOR 70-300mm f/4.5-6.3G ED VR Kit Lenses+Camera Bag+Toshiba 16GB FlashAir Wi-fi (Class 10) SD card. Camera : It is one of best entry level DSLR with great feature like a 24 MP CMOS sensor, Full HD 60 fps video recoding capability, and 5fps shooting speed with latest EXPEED 4 image-processing engine which will produce awesome image and videos even in low light. In this camera removal of low pass filter from the sensor give more clear pictures. Nikon is using same aps-c crop body sensor as used in Nikon D7200. So no doubt about the image quality but it is lags in Af system because it have only 11-af point in which one is cross type, so many times the moving subject is outoff focus. In terms of pricing of camera is far better than the canon bugget camera in sensor wise if you picked quality lense, it can generate pro like pictures. 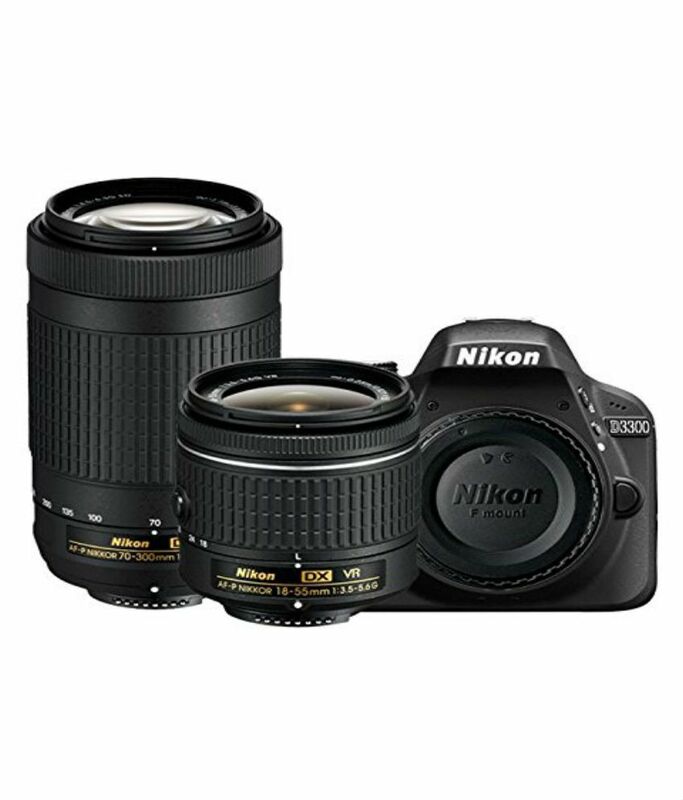 Lens :Both the lenses AF-P 18-55mm VR and AF-P DX NIKKOR 70-300mm is good lens over all in image quality and in videos also. The most likely features about these new lenses is the focusing speed is very fast and while focusing it will not create sound means it is very quite and smooth. but if want more better image quality in from cheap lens buy 35/50 mm f/1.8 prime lense which is very good for portraits, landscape and in dim lighting condition. The camera sensor is very much capable of genrate great image but u have to switch on better glass. Camera Bag : It is nice for keeping body with these two lenses. Memory card : I got Toshiba 16GB FlashAir Wi-fi (Class 10) SD card which is very useful for the camera because, this camera doesn't have WiFi in-built, so it allow u to transfer the photos using WiFi to mobile and laptop. but some connection issues are their..! Warranty : The warranty card are inside the box for camera body and lenses. Packaging :I found out packing is good and i got in four days. Battery: Overall battery performance is decent enough, you can use full day in that approx 600 pictures u can click without flash and live view mode. Conclusion : It is a great deal because u r getting good camera+ lenses specially 70-300mm AF-P lense is great and if u want to buy this lens alone it will surely cost more 15k which is costly. so all people who are new to dslr world surely buy this product this camera is capable to suprise you with its picture quality good luck...!